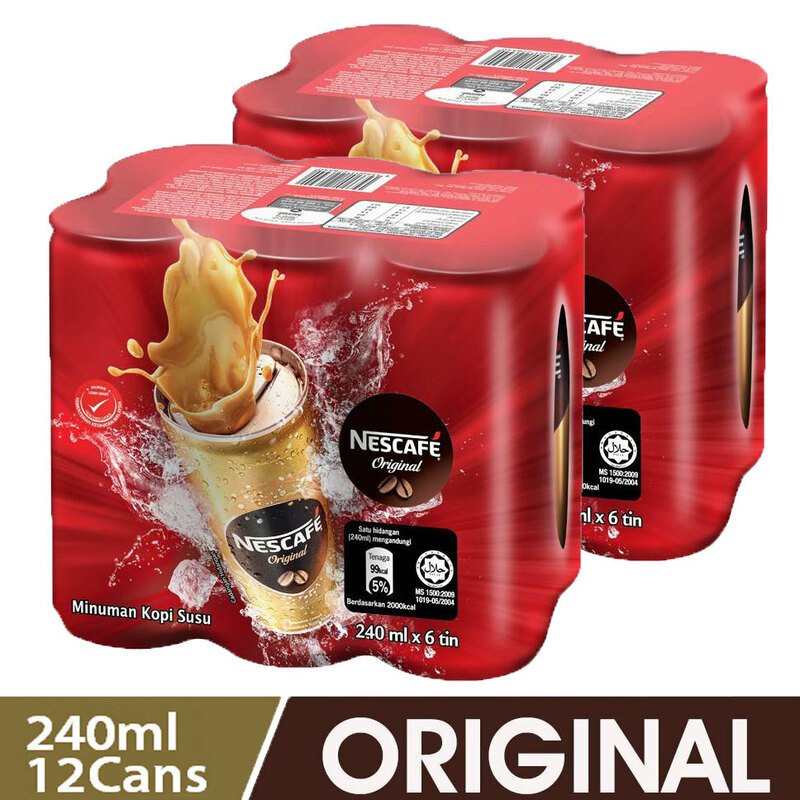 The perfect balance of coffee, creamer and sugar • Comforting and intense aroma • The right blend of coffee sweetness, topped with a smooth crema • Pack size: 240ml • HALAL certified NESCAFÉ® Original is carefully concocted to give you that well-loved signature coffee taste. Its comforting aroma and distinctive full-flavour taste, conveniently turns our medium-dark roast signature blend into a sweet coffee when you savour it. Every can of NESCAFÉ® Original has the finest blend of Arabica and Robusta beans, perfectly roasted and blended with milk. Taste the right balance of coffee and creaminess in every sip, whenever, wherever.